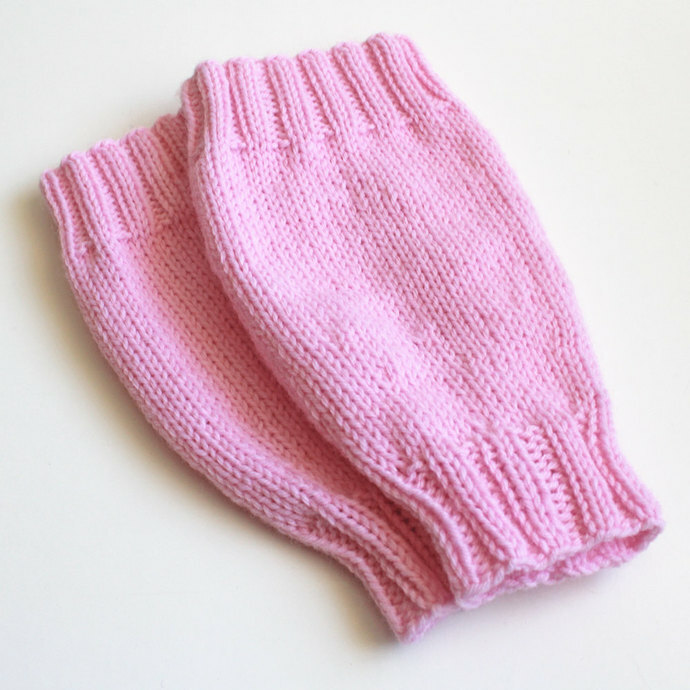 Sweet, slouchy baby legwarmers are handknit in smooth stockinette stitch from super soft sport weight yarn. 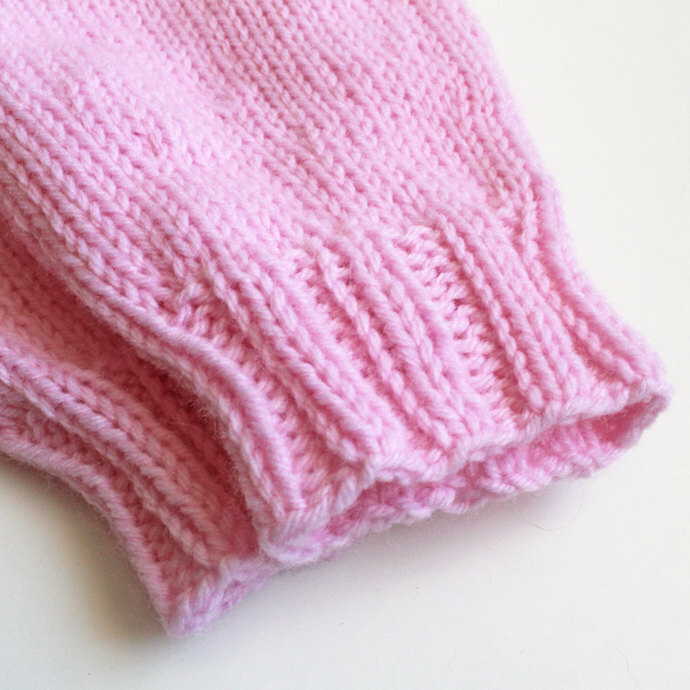 Comfy tapered style fits the shape of baby's chunky legs. 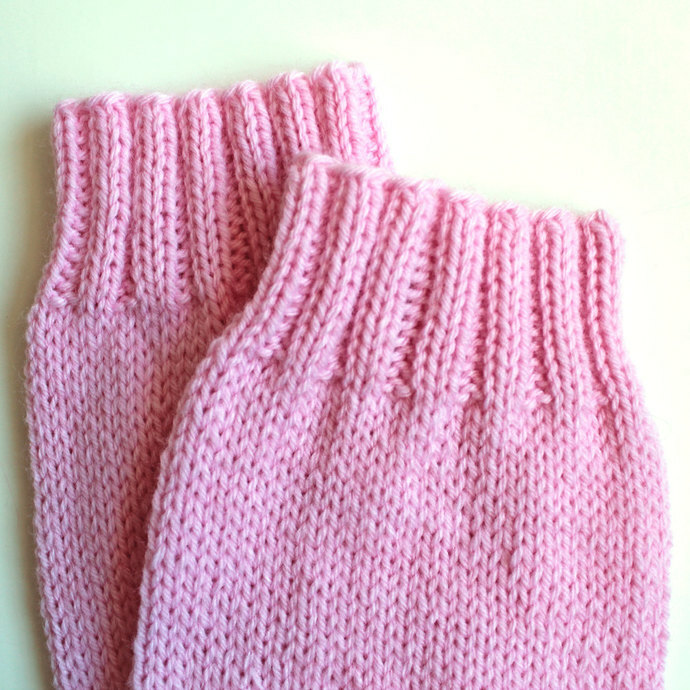 1.50" (3.81 cm) ribbed cuffs and ankles gently hug the leg to prevent drafts. 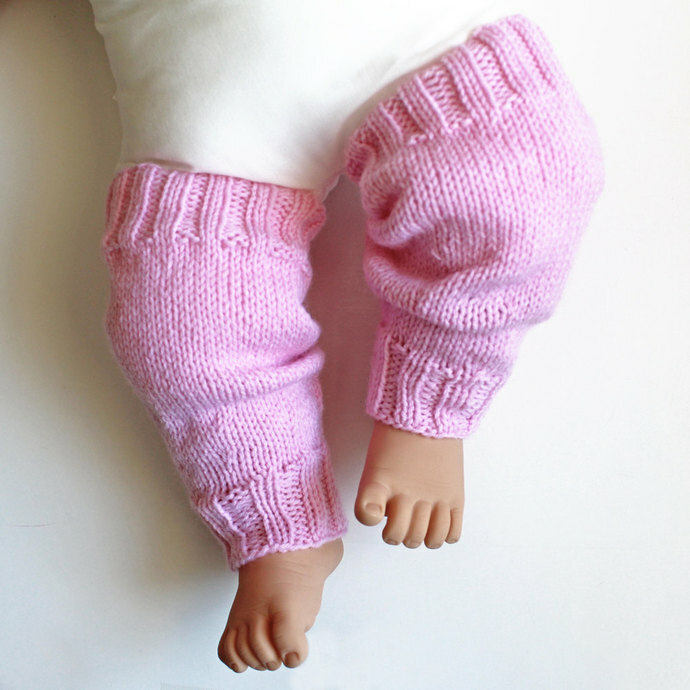 Over-the-knee, slouchy baby leggings fit a 12-month-old baby. 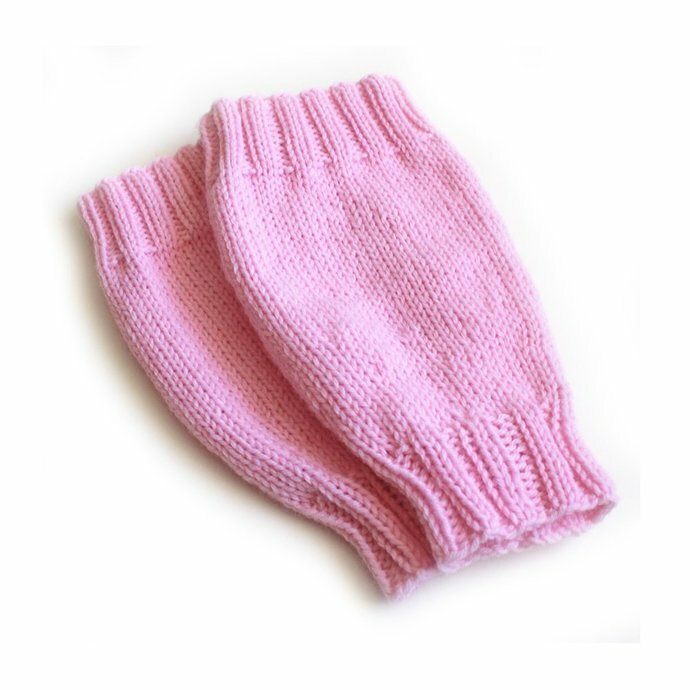 Made of easy care synthetic yarn that is machine washable and dryable. Handknit in Texas with yarn imported from England.